Peaceful country living could be yours! 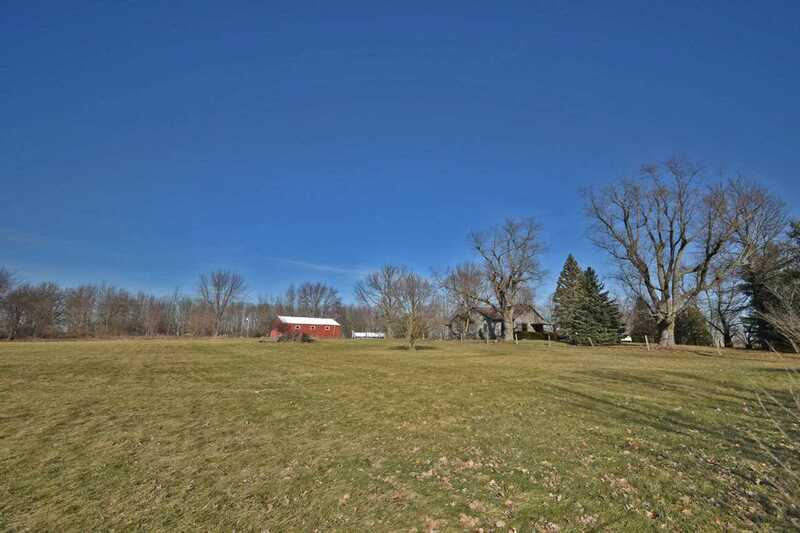 Located 10 minutes north of Frankfort, you'll find an updated 2400SF farmhouse, 5 stall horse barn with pasture situated on just under 5.5 acres. The home offers a total of 4 bedrooms with 2 full baths, a formal living room with custom stone fireplace, impressive formal dining room, an updated kitchen, large loft and a huge family room addition. Original charm can be found in the hardwood floors, bright open windows, original transoms and 10 foot ceilings on main level. Some more modern updates include a renovated kitchen with Kraftsmade cherry cabinets, replacement Andersen windows, low maintenance cedar shake siding, boiler unit '14, heat pump '14, pressure tank '15, well pump in '11 and more. Outside you'll find a nice deck, oversized 25x20 2 car garage, 30x40 horse barn with utilities, above ground pool and even a tree swing! Bring your dreams and make this your home! Directions: From Frankfort - SR 75 North, Veer Right on 150 W, E on 250 North. I was searching for a Property and found this listing (MLS #201904573). I would like to schedule a showing for 892 E 250 N Frankfort, IN 46041. Thank you! Listing provided courtesy of Donald Meeks, Coldwell Banker Shook. I was searching for a Property and found this listing (MLS #201904573). Please send me more information regarding 892 E 250 N Frankfort, IN 46041. Thank you! Home for sale at 892 E 250 N Frankfort, IN 46041 with the MLS 201904573 on TuckerRealty.com. The home at 892 E 250 N Frankfort, IN 46041 is currently for sale and features 4 bedrooms, 2 bathrooms, 2400 sq. ft. of living space, and is listed for sale at $242,500. You can search Lafayette area properties for a home, a house, a condo, or a patio home to find real estate in Lafayette, IN. You are viewing the official Indiana Regional MLS listing details of the home for sale at 892 E 250 N Frankfort, IN 46041 which is MLS # 201904573. The home has been listed on this site for 69 days and is found in the neighborhood.